I spotted this style of card on Pinterest and bought the tutorial from Bronwyn Eastley, it's similar to the pop-up box that was really popular a year or so ago. Quite difficult to get a photograph without all the flowers looking like they are leaning over, in real life they are straight. 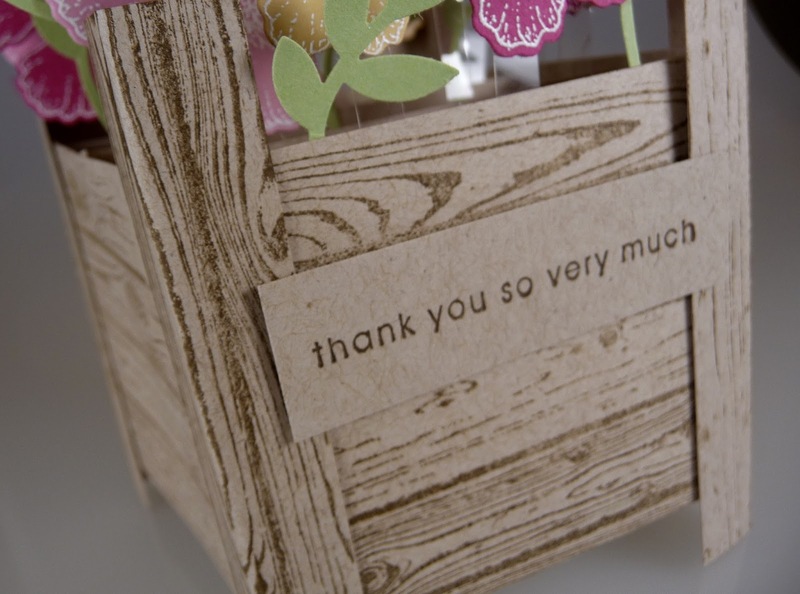 The hardwood stamp, sentiment, and leaf punch are Stampin' Up! 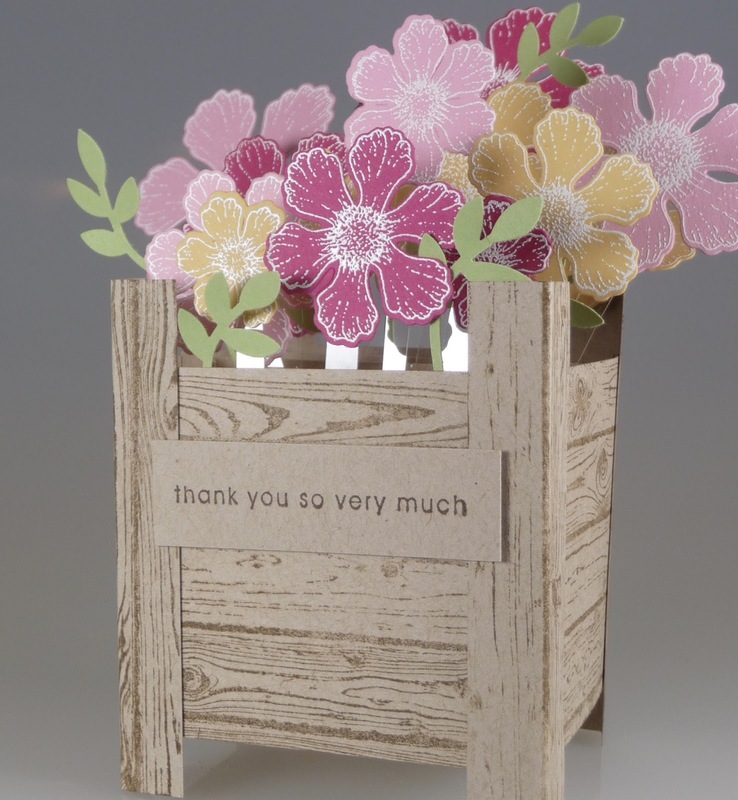 The flower stamp and matching die are Heartfelt Creations.